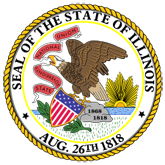 This publication is an agreement between the State of Illinois acting through the Illinois Department of Agriculture and the U of I Cook County Cooperative Extension Service. 1. Memorandum of Understanding (20060830183616_uofi.pdf).